The alien spaceship is in his sights. His finger is on the Fire button. 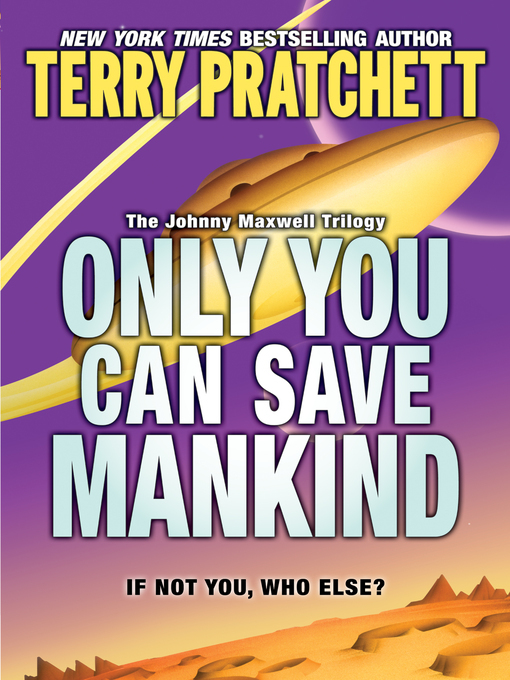 Johnny Maxwell is about to set the new high score on the computer game Only You Can Save Mankind. The aliens aren't supposed to surrender — they're supposed to die! Now what is Johnny going to do with a fleet of alien prisoners who know their rights under the international rules of war and are demanding safe-conduct? It's hard enough trying to save Mankind from the Galactic Hordes. It's even harder trying to save the Galactic Hordes from Mankind. But it's just a game, isn't it? Isn't it? Master storyteller Terry Pratchett leaves readers breathless — with laughter, and with suspense — in a reality-bending tale of virtual heroism.